A replica of whaleboat commemorates Charles Sturt who hauled across inland Australia in search of the "inland sea". The original boat was abandoned near Depot Glen. The first Europeans in the area were Charles Sturt and party on their ill-fated 1845 attempt to discover an inland sea. 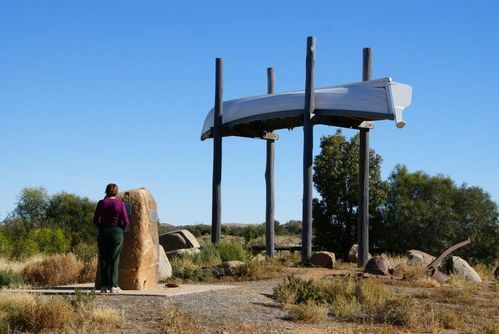 While stranded at Depot Glen they explored the corner country, visiting Mt Wood, Cooper Creek and the edge of the Simpson Desert in north-east South Australia.